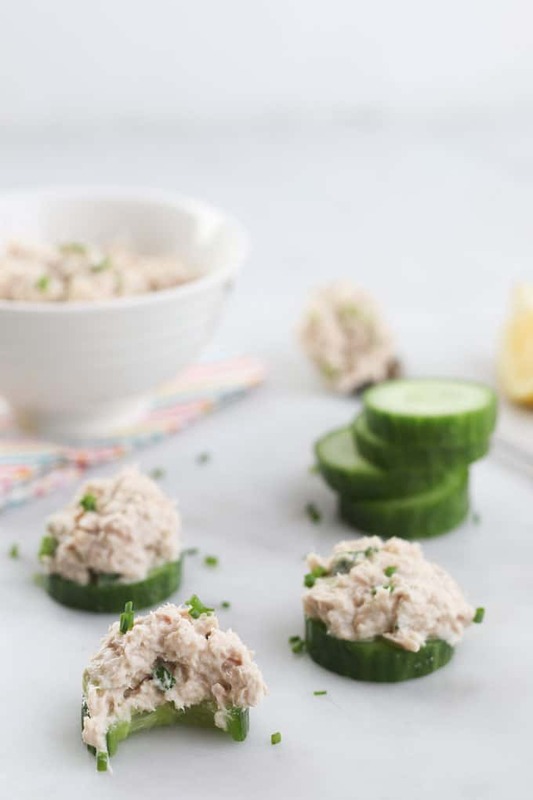 This simple Healthy Tuna Salad is perfect for spreading on raw veggies, crackers or toast. Made with greek yoghurt, it is a lighter alternative to the mayo-loaded classic version. 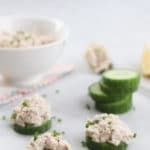 I always have a few tins of tuna in the pantry for when I haven’t been to the store in a while, and don’t have the time (or want) to drag two kids around a supermarket. I find it a great ambient product that can be used to whip up an evening meal really quickly. I often serve it with rice, quinoa or pasta. 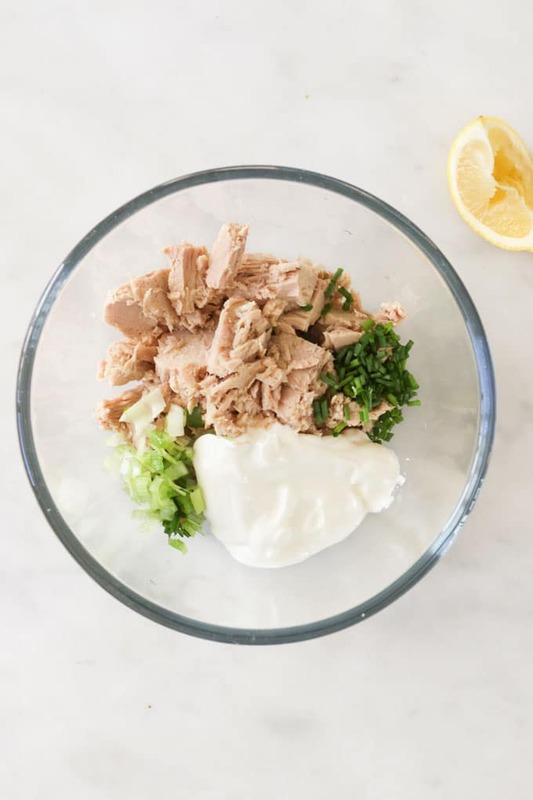 Another way I like to use tuna is to make this healthy tuna salad. My eldest is always so hungry after school and this is great spread to eat with a plate of cut up veggies. I love how versatile tuna salad is. 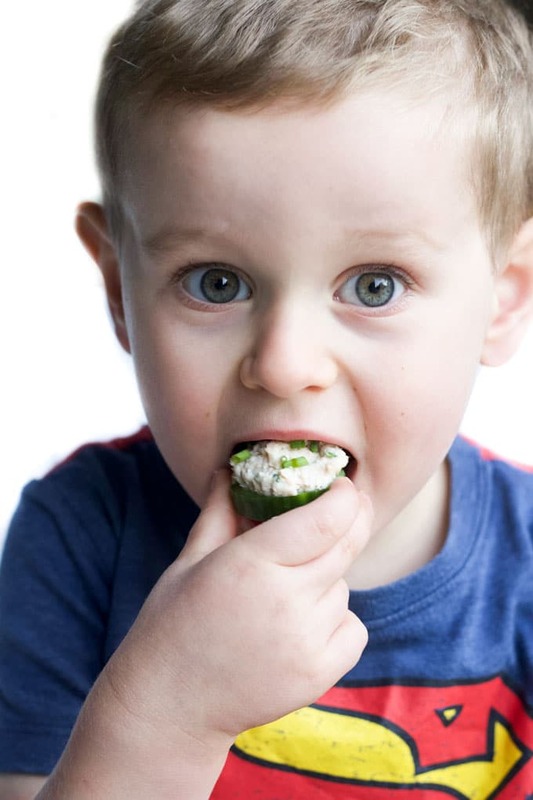 Here are a few suggestions on how to serve it, based on the ways that my kids love to eat it. 50% mayonnaise & 50% yoghurt. Have you tried this recipe? I’d love for you to leave a comment below or to tag me in your creations on Instagram or Facebook. A healthy, high protein spread that can be used to top various vegetables, toast, crackers or used as a sandwich filling. Place all the ingredients in a small mixing bowl and mix until combined. Nutritional information is a rough GUIDE only, calculated using an online calculator. Values are for the spread alone. My kiddos love their tuna mayo! I had never thought to try it with yogurt before. I gave it a go yesterday but needed to add a spoon of mayo. Still so much healthier than all mayo. Going to try avocado next, that sounds delicious.